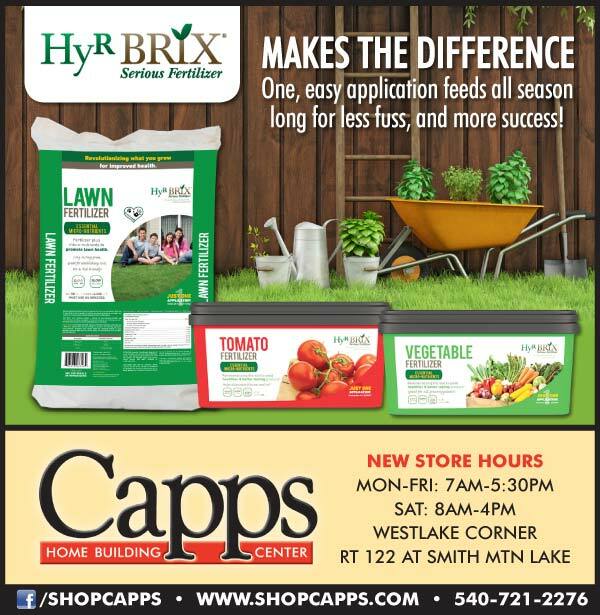 Created on a family farm that has been in business for over four generations, HyR BRIX® Fertilizer products are easy to use and reduce your cost because you don’t have to reapply multiple times. One easy easy application feeds all season long for less fuss and more success! This product contains more nutrients than most fertilizers provide on the market today, so you are getting a huge bang for your buck with all your need right there in one bucket. Now available in the Lawn and Garden department at Capps. Stop by and talk to our professionals to get started with the growing season on the right foot!